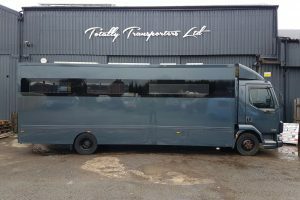 1999 T T4 2.5TDi 102 BHP fully restored and resprayed in “James Brown” with colour coded bumpers and mirrors, tailgate model lowered 65mm onto 18” RS4 alloys with twin captains seats in cab, swivel base on passenger seat, lined and insulated. Fully serviced. 216,000 miles. We sold this vehicle ten years ago to a customer, she has ten yers of trouble free motoring and I am sure that this van will do another ten years of trouble free motoring.